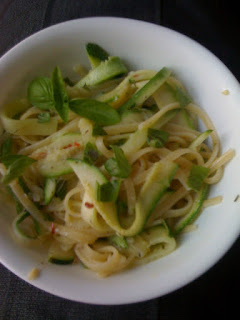 Single Foodie's Spot: Zucchini Linguine "Alfredo"
Slice zucchini into long thin pieces, then saute till tender and it is just as pliable as the pasta twirling on your fork! 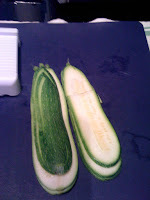 To slice the zucchini, I use a mandolin and slice it thinly long ways. Then stack the pieces and cut them into long strips. 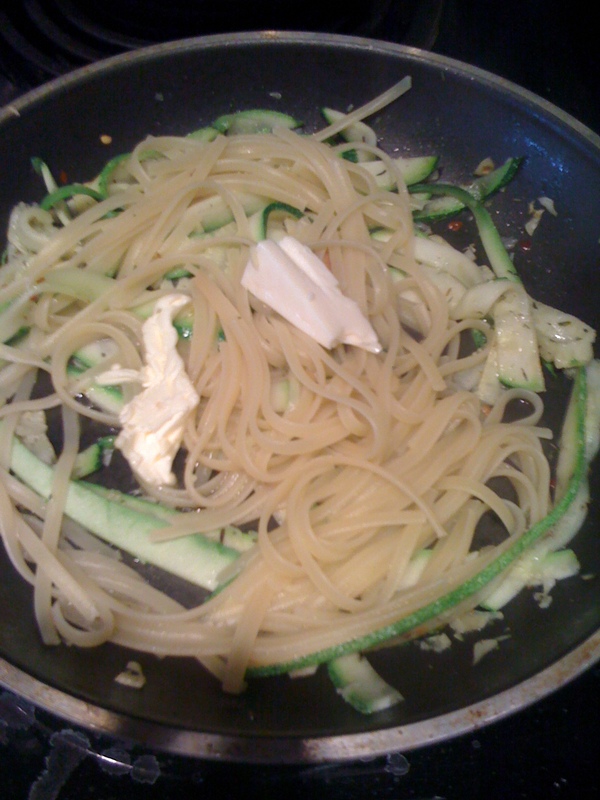 Start boiling salted water for the pasta. 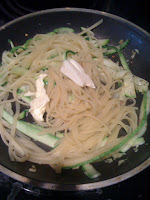 Add pasta when boiling. At this time the pasta should be almost ready. Use tongs or a fork to add the pasta directly to the saute pan with the zucchini and garlic. You want to save the cooking water. Stir in the butter spread and laughing cow cheese. 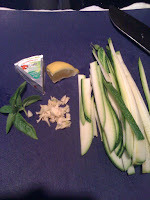 If the "sauce" is too thick add a bit of the cooking water till it is the desired consistency. Top with a hint of lemon juice, basil and parmigiana.